You now qualify for $39.00 OFF on your order! Your discount is applied for this product. 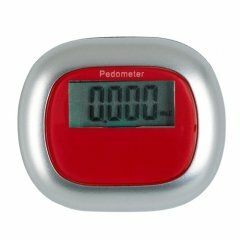 You can get your company and brand name out by gifting your customers with custom multi function pedometer which could be used while exercising. This green color attractive device surely catches the attention of others when your customers use it outdoor. 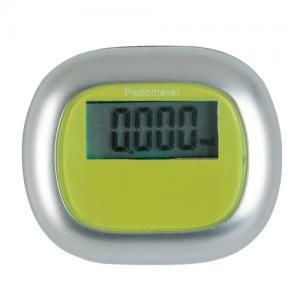 It gives enough space to inscribe your brand logo and brand name on to it. The major highlights of the promotional multi function pedometer is the easy to read display that can well showcase the distance covered in miles or kilometers and the calories burnt. This is a good inspiration to promote healthy habits of your customers. 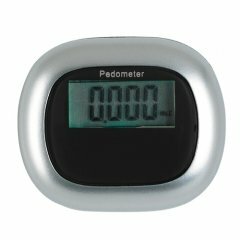 Health care and pharmaceutical industries can make use of this personalized multi function pedometer as it boosts the physical well being of the people.